Have you ever felt that your ideas weren't listened to? Or that you had to pretend to be something that you weren't to get ahead? 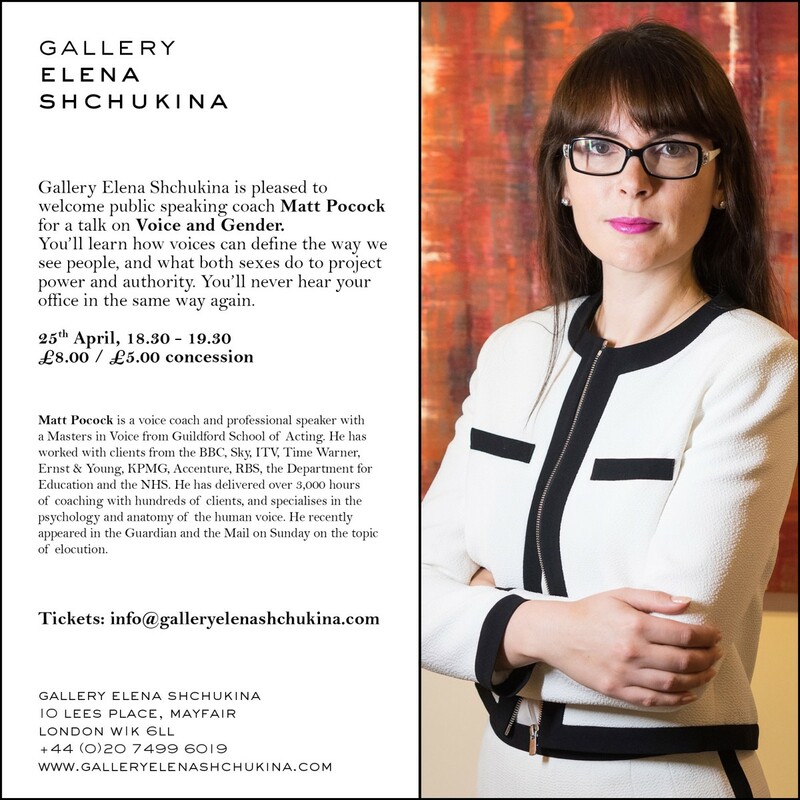 Gallery Elena Shchukina is pleased to welcome public speaking coach Matt Pocock for a talk on voice and gender. Voices can define the way we see people. A deep voice can reflect power and gravitas; a high and piercing one, submission. Or so we think. But using the latest voice science, Matt Pocock turns our preconceptions upside down. You'll learn the enormous physical differences between men and women in their voices, and what both sexes do to project power and authority. You'll never hear your office in the same way again.